Josh Kovac is the Pilatus Regional Sales Management in Texas and Colorado. He is responsible for providing insightful analysis to current and prospective Pilatus clients regarding their personal and business aviation decisions, based on his detailed and comprehensive knowledge of turboprop and jet aircraft markets, aircraft performance, annual financials, life cycle costs, and aircraft valuations. 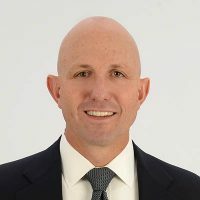 An accomplished military and civilian pilot, Kovac’s insights are based on significant sales and marketing experience with aircraft manufacturers, Pilatus Sales Center in the Midwest and now as a representative of Cutter Aviation for Colorado and Texas. Amongst Josh’s impressive aviation accomplishments and experience he has been a USMC naval aviator and logistics officer with flight time in FA-18, T-45, T-2, and T-34, a demonstration Pilot and Aircraft Regional Manager in the Pacific Northwest and Western U.S. with two business jet OEMs and a Midwest sales center for Pilatus Aircraft. Josh has also functioned as strategic business development at an unmanned aircraft systems company — executive advisor, military consultant, including subject matter expert to U.S Combatant Command and ASEAN partner nations on behalf of a rapidly growing aerospace start-up. A VC acquired the company in 2009. Josh has primarily focused on Pilatus Aircraft since 2015. As a former Marine Hornet pilot, he embraces the importance of mission focus, loyalty, and trust. “There are no certification requirements for aircraft brokers, salesmen, or advisors. The level of professionalism and integrity can vary greatly. I joined Cutter aviation because they believe and live by the same core values and have been since 1928.” As a trustworthy advocate, Josh is committed to each client’s success. A graduate of Embry-Riddle Aeronautical University, Josh obtained degrees in Aviation Business and Aviation Safety while on an athletic scholarship. He and his family reside in Denver, CO.